This may help you write your comments. 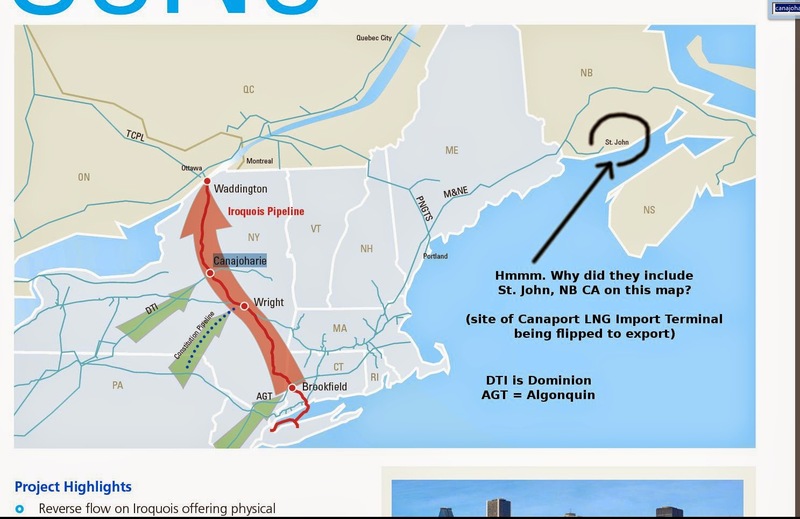 1) What is the existing capacity of the Dominion New Markets Project? 2) What is the history? When first constructed? When Looped? 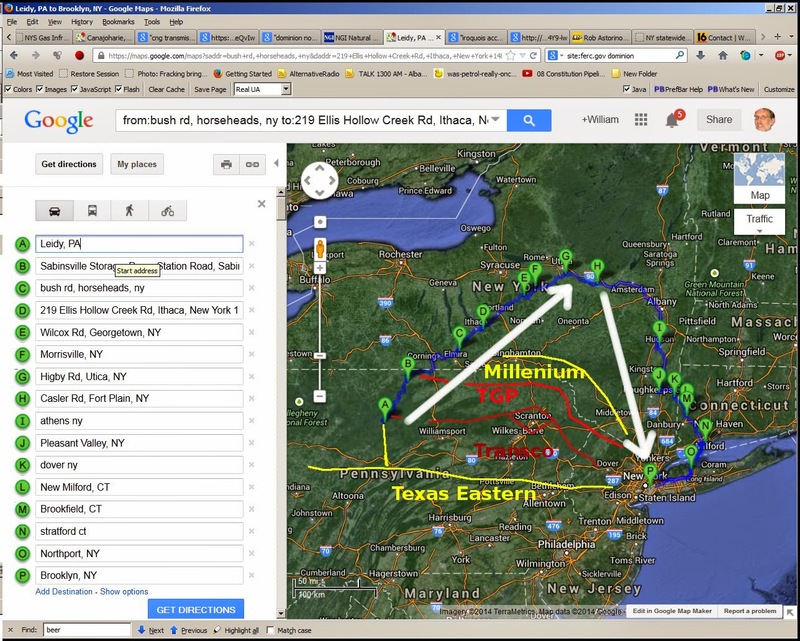 to Ft Plain, NY (Montgomery Co), if the gas is going to Brooklyn, NY? Shortest distance between two points is...? for receipt to Iroquois at (H). when there are at least 4 pipelines which provide a shorter distance? 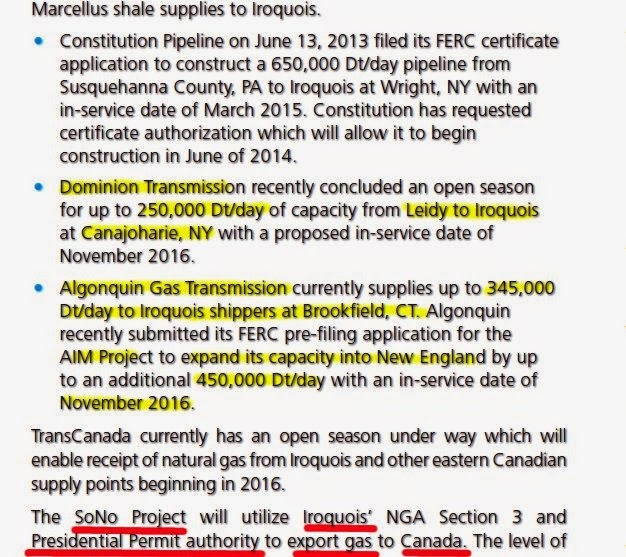 Iroquois wants to ship 300,000 Dth/day to Canada. What is the true capacity of the Dominion New Market Project? 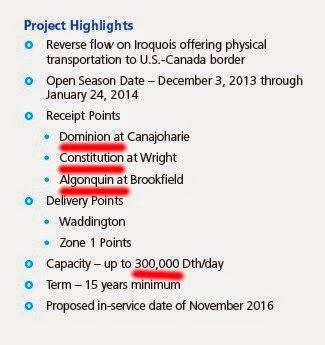 the previously proposed "Iroquois Access" attempted to ship up to 275,000 dt/d. seeking to ship 250,000 dt/d. Apparently they settled for 112,000 dt/d via 2 customers. in Morrisville (yellow circle) near the college. 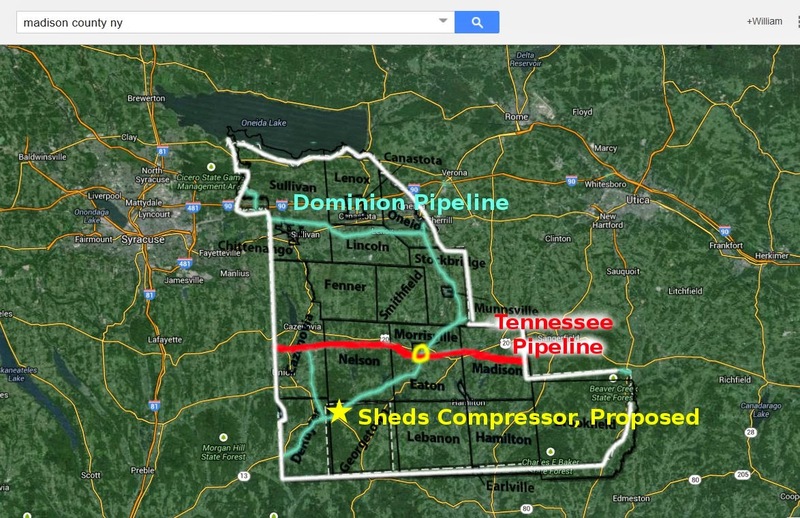 If you are searching the history of this pipeline, you will NOT find it if you are searching for Dominion. 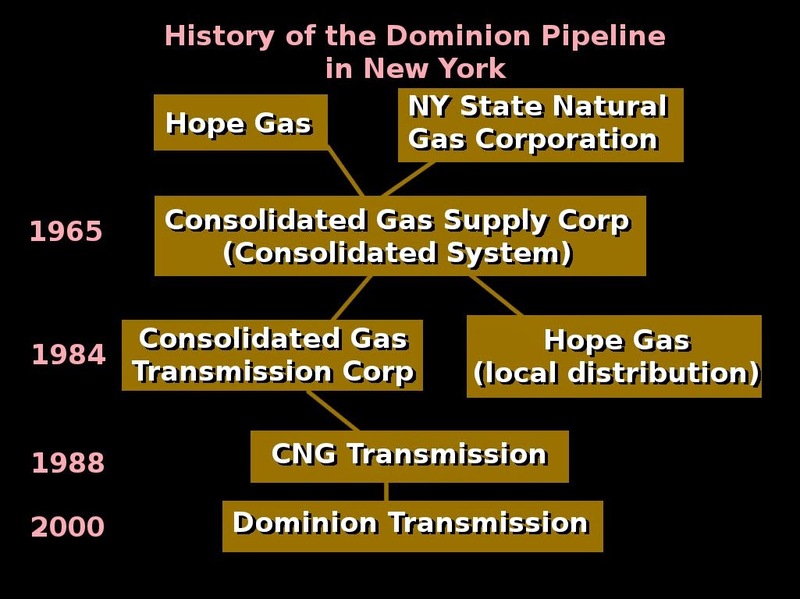 Prior to 1965 the owner was called "NY State Natural Gas Corporation". 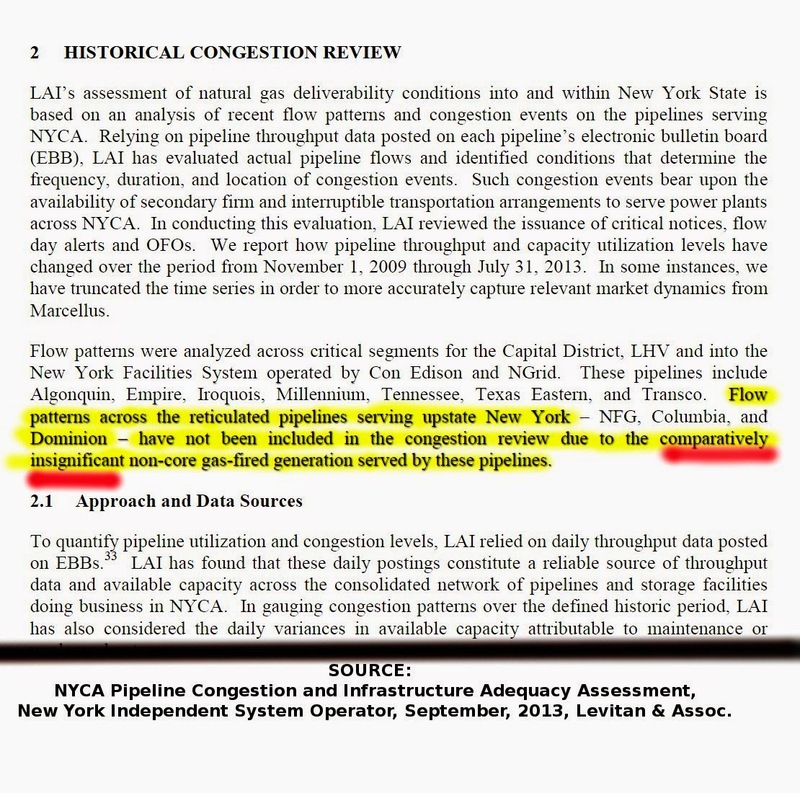 Then it became the "Consolidated Gas Supply Corp" or the "Consolidated System". In 1984, the owner became "Consolidated Gas Transmission Corp." Then in 1988 it became "CNG Transmission". Finally, in 2000, it became "Dominion Transmission". So says Levitan & Assoc.